Microsoft, Apple, Samsung and other companies sitting on a high market cap will take turns making bitter remarks at their rival’s product lineup and with the announcement of the new MacBook Pro, there were mixed feelings about what Apple believed to be the ideal notebook for a variety of customers. Dropping the MagSafe charger, and the SD card slot and replacing them with USB-C ports is definitely a bitter truth to swallow and Microsoft has decided to take advantage of the situation by labeling the latest notebook lineup as a ‘disappointment’. 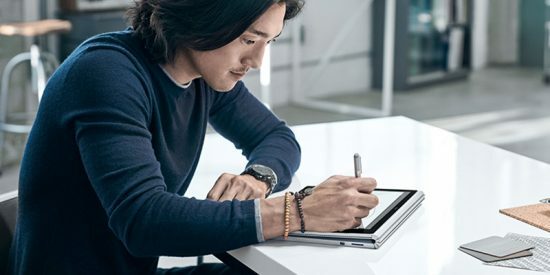 On the official Windows blog, Microsoft has praised the innovative aspects of its Surface Pro 4 and Surface Book i7, and says that the MacBook Pro announcement has caused several consumers, including professionals to jump ship and make a switch to a new Surface product. The quote related to Microsoft targeting the new MacBook Pros has been detailed below. “More people are switching from Macs to Surface than ever before. Our trade-in program for MacBooks was our best ever, and the combination of excitement for the innovation of Surface coupled with the disappointment of the new MacBook Pro – especially among professionals – is leading more and more people to make the switch to Surface, like this. It seems like a new review recommending Surface over MacBook comes out daily. This makes our team so proud, because it means we’re doing good work. There are several reasons why the MacBook Pro would give you a bitter feeling every time you look at it so if you’re willing to wait for even better notebooks to arrive, then wait for 2017, because it looks like the MacBook Pro might get refreshed with Intel’s Kaby Lake processors and might even provide support for 32GB of RAM.